Is Pakistan's advertising industry failing darker-skinned models? Last week, Victoria's Secret selected over 30 models to walk the ramp in its forthcoming fashion show, one of whom was Winnie Harlow. The 24-year-old Canadian is an unusual selection. First introduced in the reality TV show, America’s Next Top Model, Harlow stood out from the other contestants due to her skin condition, vitiligo – which causes white patches on a person’s body due to lack of pigment. 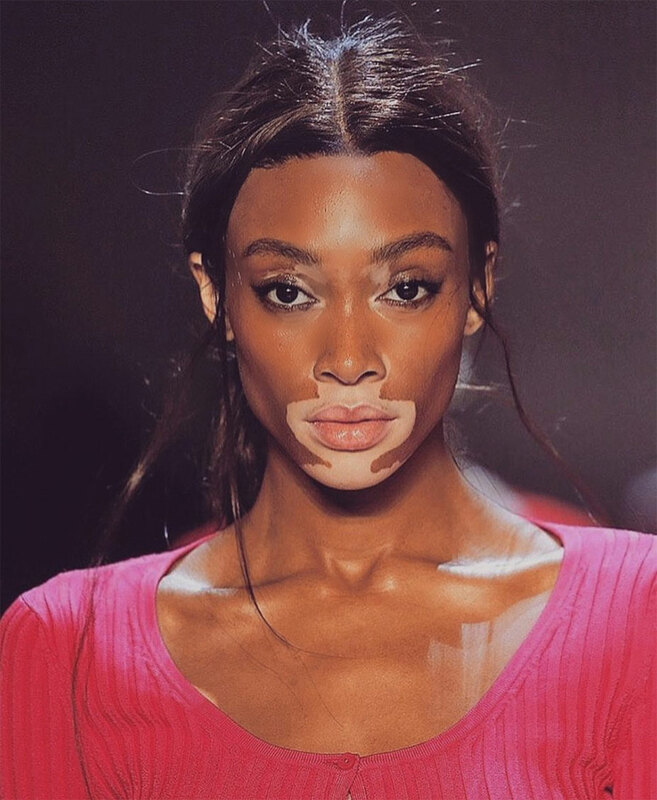 Her confirmation in the coveted fashion show will mark the first time a model with vitiligo walks the runway for the designer. Women like Harlow are fighting to take the conversation back, breaking down the barriers of conventional beauty and the idea of what is “sellable”. Others like Nyakim Gatwech, a South Sudanese model, with a deep complexion are bringing more diversity to the fashion world, by making sure that darker-skinned models are not held back. But here in Pakistan, such changes are slow. The idea of beauty, it seems, is still anchored to traditional European stereotypes. "When selecting a model, advertising agencies look at the person’s skin, teeth, and hair," explains Omar Ahmad, the head of the Karachi-based Spectrum Digital. In the late 1970s, during General Zia-ul-Haq’s tenure, the adverts were rarely representative of the general society’s demands or wants due to the conservative political climate, he adds. "Traditional beauties”, in Pakistan, are defined as fairer-skinned actresses and models, who are still preferred by leading brands. The colour bias is even more evident as large manufacturers continue to promote cosmetic creams that promise a fairer, lighter skin complexion for a “perfect” life. This bias was ingrained during the colonial era in the subcontinent. The rulers were white; the subjects were dark. However, in the last 20 or so years, the region’s fashion industry has witnessed a gradual bending of definitions. When Iraj Manzoor first began working as a model in 1991, the tall brunette had a harder time getting a lawn clothing campaign as compared to her fairer-skinned colleagues. The market is now much more exposed to the outside world due to digital media. In neighbouring India, an NGO launched the “Dark is Beautiful” campaign in 2009, to promote inclusivity. The campaign was endorsed by Bollywood celebrities like Nandita Das. 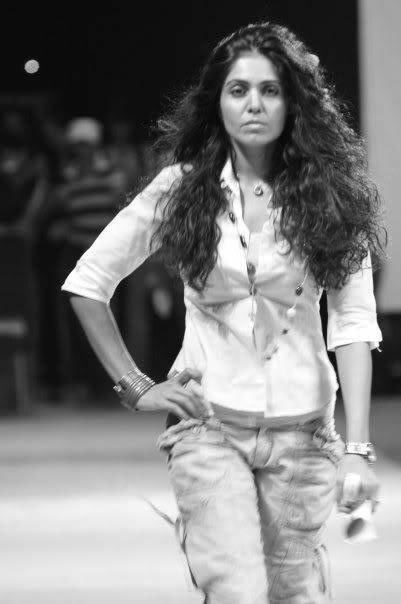 As for Pakistan, one early exception to the general trend was model Iraj Manzoor. When she first began working in 1991, the tall brunette turned many heads in the fashion world but got less work in the commercial sector. Compared to her fairer-skinned colleagues, Manzoor had a harder time getting a lawn clothing campaign. "The Pakistani fashion scene is better with experimentation and pushing boundaries compared to the commercial domain,” explains photographer Tapu Javeri. In the last decade, Javeri adds, the designers have become more open to the idea of experimenting with new and unique looks and are comfortable using concepts such as androgyny and alternativeness. Last year, Pakistan had its first fashion campaign that featured a transgender model. Separately, darker-skinned models like Amna Ilyas have been selected as the face of many high-end designers in Pakistan. In an acceptance speech delivered in 2015, on winning an accolade for the best model, Ilyas recounted her journey and the prejudice she was subjected to due to her skin colour. “I was repeatedly told ‘aye haye, yeh to kaali hai [dear lord, she's dark]',” she said on stage. Overall, there are glimmers of hope and a slow march forward. But for the attitude to truly change, more and more women need to enter the fashion and advertising industry and demand better representation, to once and for all say — dark is beautiful.